Cheap Train Whistles - 12 Ct. 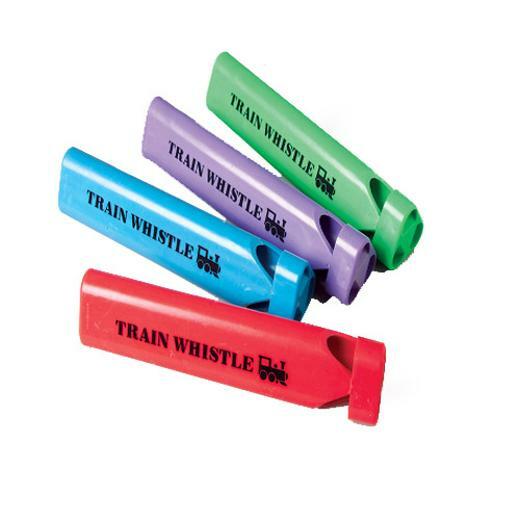 Train Whistles - 12 Ct.
Great addition to any train themed goody or loot bag! Your little engineer will love this colorful train whistle. Let this entertaining noisemaker indicate when a pretend train is coming through. Give them away as party favors and inspire their imagination. L: 9.2 in. W: 8.25 in. H: 2.7 in.